If anything, this game is more a showcase for Leiweke to prove he’s got NBA “juice’’ than for locals to demonstrate basketball affinity. In yet another sports business example of who you know being as important as what, there is an NBA exhibition game tentatively planned for KeyArena come October. The Oak View Group, tabbed to renovate the facility for $600 million, is denying anything to do with the game between the Golden State Warriors and Sacramento Kings. Which is understandable, but also ridiculous given how CEO Tim Leiweke has been friends with Warriors president Rick Welts going on about two decades. Seattle native Welts is the reported driving force behind the exhibition, having once worked as a Sonics ball boy and later as their public relations director during their 1979 title season. Welts later worked in the NBA’s head office alongside current NBA commissioner Adam Silver, then went to Los Angeles in 1999 as president of Fox Sports Enterprises — a major investor in both the Dodgers and the newly-built Staples Center. 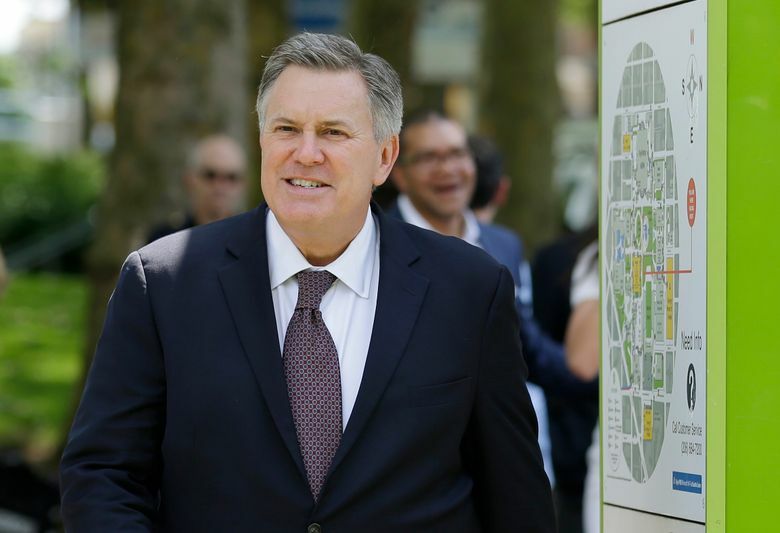 Leiweke had spearheaded construction of Staples Center and welcomed his former NBA acquaintance to town, introducing him to its power brokers. Welts also befriended Leiweke’s younger brother, Tod, arranging for him to interview for the Dodgers’ presidency ahead of his being hired to run the Seahawks. Though Welts told me he has zero control over the NBA adding a franchise, he firmly believes “Seattle is the most attractive market that doesn’t currently host an NBA team.’’ He pledged to be “one of the cheerleaders on the sidelines whenever I get a chance’’ to help push things in this city’s direction. We’re now seeing what he meant. Leiweke has oft-stated he “can’t get ahead of commissioners’’ so he wouldn’t want his name tied to a game most will automatically view as a showcase to lobby the NBA. But it would be foolish to believe Leiweke didn’t approve this, given the $1.25 billion gamble he and his hockey owner partners are making that they’ll have KeyArena remodeled in time for the 2020-21 NHL season. The October date for the NBA game leaves time to complete the arena within 20-to-24-months and meet the NHL schedule. But it’s cutting things close. So, clearly, Leiweke was consulted. Some fans locally have bristled at Seattle even needing a showcase game after 41 years of supporting the Sonics before they left in 2008. But more than a do-or-die showcase, this likely boils down to local boy Welts — who did not return a call seeking comment — wanting to do some good, while helping Leiweke in the process. Both men have a long track record with NBA commissioner Silver, who, this way can be seen as allowing a hometown favor for the president of a defending NBA champion team and not an OVG boss seeking a franchise. Silver has claimed the NBA isn’t prepared to expand or relocate and can make his league far more money by sticking to that and driving up the bidding by all interested markets. So, why would the NBA allow this at all? Simple. The league likely isn’t coming here for a good five years, wanting a couple of NHL seasons to observe how KeyArena handles revenue sharing with the city and new tenant hockey club. Five years is a long time. So, playing the game here breaks that up and keeps NBA interest heightened. It also helps Leiweke counter criticism he’s not about reviving the Sonics. If anything, this game is more a showcase for Leiweke to prove he’s got NBA “juice’’ than for locals to demonstrate basketball affinity. Leiweke could use the help, given we’re probably in for at least a 15-year wait from when the Sonics left until they return. That’s actually typical in pro sports. Baltimore waited 13 years between NFL teams, while Los Angeles waited 22. Montreal is at 14 years and counting since the MLB Expos left for Washington, D.C. Quebec City lost the NHL Nordiques 23 years ago and is also still waiting. Some cities had it easier. Cleveland waited only four years to get the NFL Browns back. Minnesota needed seven to get an NHL team again, while Houston waited only eight between NFL squads. But they are more the exception. Minneapolis had the NBA’s first dynasty, but waited 30 years between the Lakers and Timberwolves. Winnipeg needed 15 years to get the NHL Jets back. Colorado waited 13 between NHL franchises. In those revivals, it was a new stadium or arena that landed teams more than showcase exhibitions. Then again, Quebec City recently built Centre Videotron and still doesn’t have a team back. This is where we mention pro sports leagues aren’t about fairness, but making money on their terms when they are good and ready. And often, it’s who you know that puts markets over the top. If the NBA feels there’s money to be made in Seattle, it won’t need a one-game showcase to make up its mind. Approving a KeyArena renovation plan was the first step. The other is having an arena ownership group and potential team owners — like OVG partner and billionaire Boston Celtics minority owner David Bonderman — already demonstrably a part of the league’s inner sanctum. Whether it’s Bonderman, or Leiweke and his friendships with Welts, Silver, Lakers owner Jeanie Buss, Knicks owner James Dolan, or whomever, our city has an NBA “in’’ other markets lack. The rest of it, including the exhibition game, is more about biding time and calming impatient fans until the NBA decides the moment is right to come back and make a financial killing.